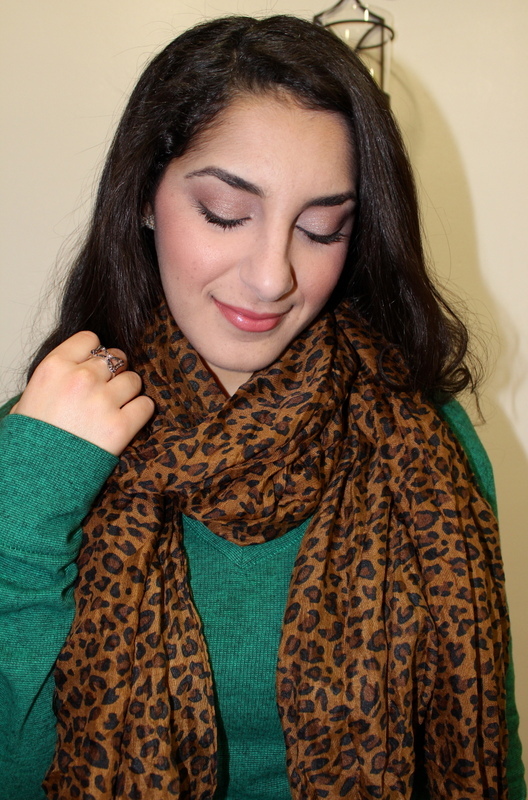 Viola Beauty: OOTD: Emerald Leopard! Today's Outfit of the Day is a casual and comfortable one. 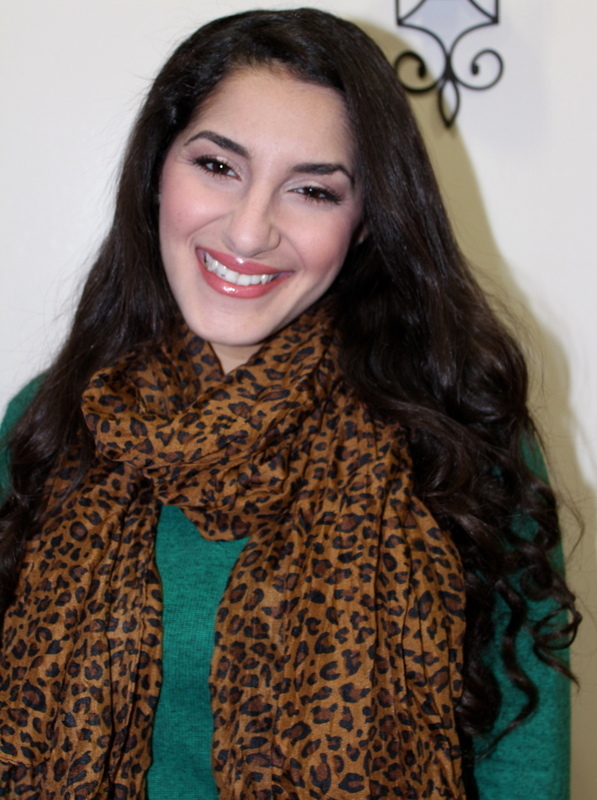 I paired a no-hassle emerald thermal with a leopard print scarf and lace oxford booties. I absolutely love this Urban Outfitters thermal! It's so warm without being too thick, chunky, or bulky. It's the perfect winter layering piece that can also be worn on its own like I did today. I layered a brown cami underneath for some extra warmth. Also, emerald/green has been named the Pantone color of 2013, so expect to see it in stores everywhere this year! 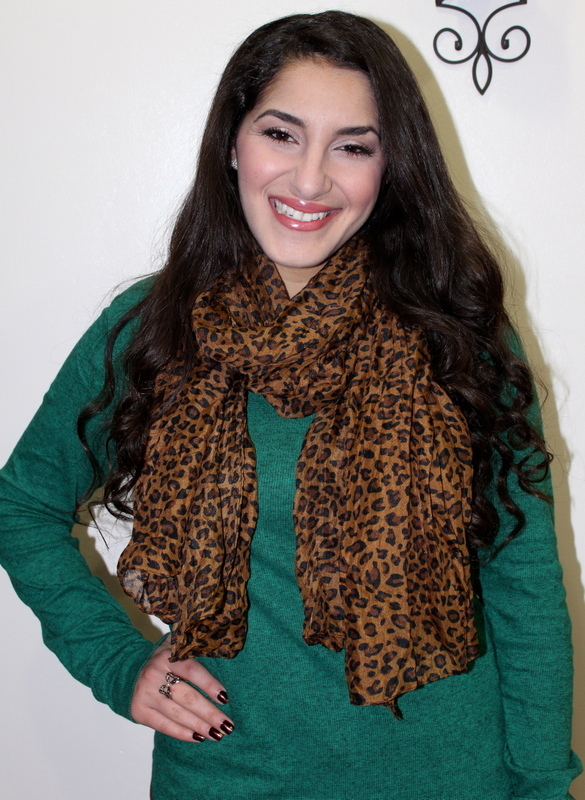 I love scarves, and this leopard print one adds the perfect earthiness to this jewel-toned thermal. These dark-indigo jeans are actually jeggings from American Eagle Outfitters that have become my favorite pair of jeans. 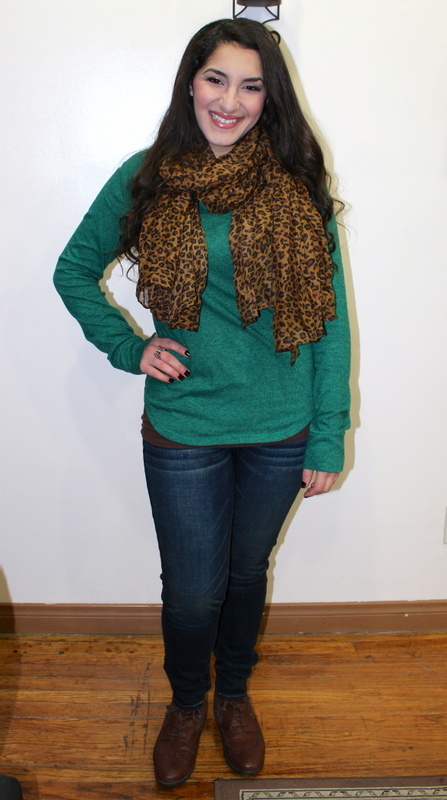 Once you find jeggings this comfortable and that fit this perfectly, you can never go back to jeans! 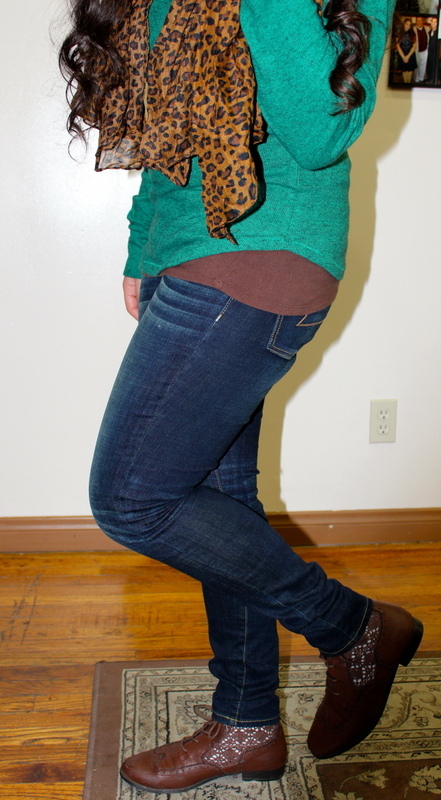 Also, a little tip: Dark jeans with light whisker detailing down the inside seams can make your legs appear slimmer! Lastly, I wore these brown oxford-inspired booties with lace cut-out fenestrations on the side to tie the whole outfit together. These are some of my favorite casual shoes. For makeup, I kept it simple with a champagne lid and minor definition in the crease. I kept the cheeks and lips peachy. 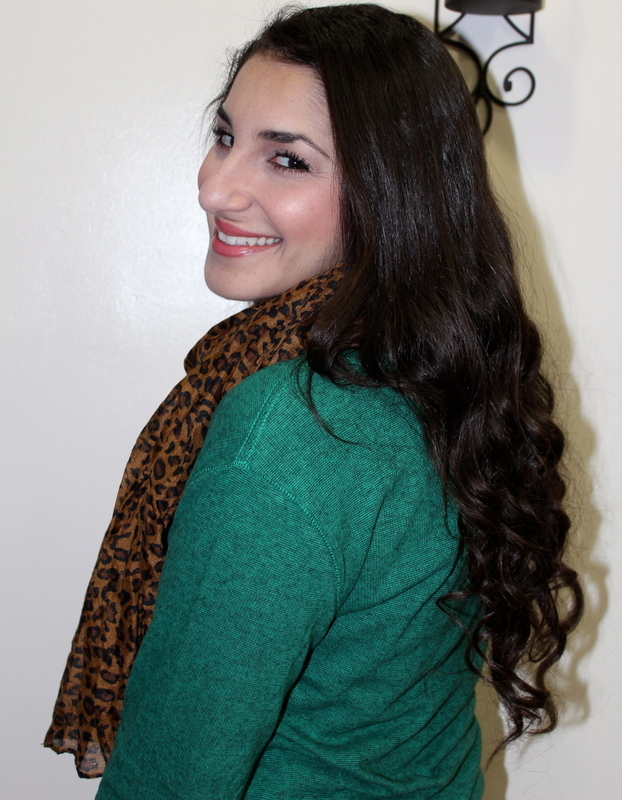 For jewelry, I'm just wearing bow stud earrings, and my bow ring is from a set that also came with a matching necklace.